It is no secret that every distributor in the pharmaceutical and healthcare products industry has to expect different sales cycles. 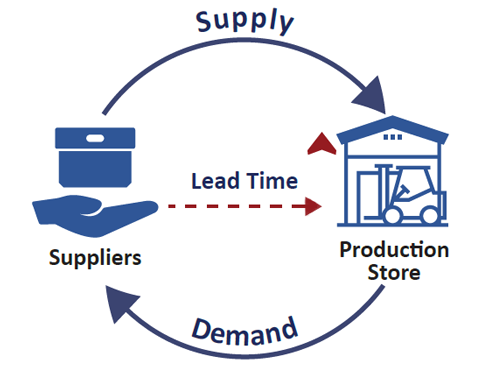 Peak times during which the inventory has to be increased due to increased demand, and low times when the stock should be kept to a minimum. In order to get it right, lead times must be calculated meticulously. However, a challenge persist — your suppliers won’t share their demand data. This is usually due to technology restraints or lack of financial incentives, resulting in inventory flows that are not optimized. Such lack of coordination means distributors have limited control over their supply chain, making it nearly impossible to synchronize the end-to-end supply chain. Yet, there are still some steps a distributor can take to mitigate the negative consequences. The Procurement Department in a pharmaceutical or medical distribution business used to be responsible only for handling capital and consumables. However, its responsibilities have now expanded so to include a wider range of roles and cross-department coordination. This increasing complexity requires a more strategic approach to procurement. Company Identity: What does company do and does Procurement Department really understands the business model? Market Placement: Who are your customers and what do they really want? Company Capabilities: What are your strengths, weaknesses and long term goals? Can they be achieved and what is the company growth plan? Management Issues: Does the company have necessary resources to meet goals? 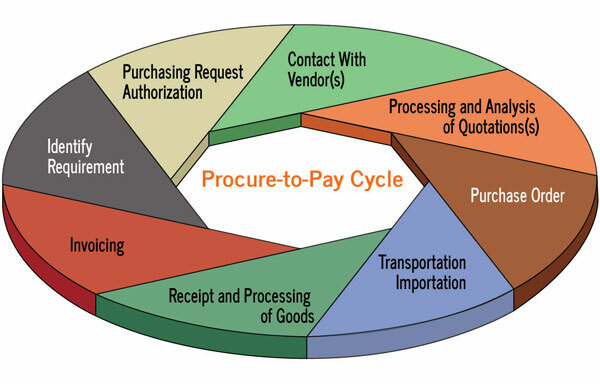 Next, consider clear processes, even checklists, for your procurement department to follow during the procure-to-pay cycle. “Depend on the system, not the person” should be the motto the manager runs the department. Thus, each step should be clearly defined and systematized into a “Procure-to-Pay Cycle” rather than only depending on each employee to fulfill his or her role. Analysis is impossible without data. The good news is that collecting data, while sometimes tedious, is the easy part. The process can also be automated, which we will discuss later. Another positive point, is that you can collect it even before you decide the metrics by which you would like to analyze it. However, you do have to firstly determine what kind of data to collect and how to best categorize it. Implementation of procurement planning software can significantly increase inventory efficiency. Some advanced software can even factor in weather forecasts, ongoing trends and domestic healthcare statistics to adjust forecasts for supply and demand. Anyhow, software is not always an option due to compatibility issues, financial constraints or other reasons. If this is the case, you can decide on simple data tracking metrics. This will ensure running out of stock or overstocking is highly limited. In addition, the sophistication with new software might not even be necessary to get results if you consider the 80/20 rule – spending 20% of the timel, effort and resources to achieve an 80% increase in efficiency. Sometimes only simple data that is already available, together with some newly gathered metrics, have to be effectively implemented in order to get sufficient results and better control over your inventory. Total Inventory: the total amount of merchandise or raw materials on hand. Total Inventory as a % of Sales: inventory at the end of every quarter divided by sales for the same period ⟶ multiply by 100. Inventory Turnover: a ratio showing how many times inventory is sold and replaced within a given time. Inventory Turn Days: days in the inventory period divided by the inventory turnover to calculate the days it takes to sell the inventory on hand. Accounts Payable Turnover: total amount of purchases made on credit divided by the average accounts payable based on a given period. Accounts Payable Turn Days: average number of days that a payable remains unpaid. Pharmaceutical and medical distributors should not rely on suppliers to meet deadlines, but rather plan across the entire supply chain. As a matter of good inventory practices, consider the date that a particular product needs to be on the shelf, then work backwards from there. Point-of-Sale (POA) data will inform you about products that should have the priority, and this will in turn drive a more efficient procurement cycle. In addition, practice of considering POA data reflects a focus on patient outcomes, which in turn also drives better inventory controls. If POA data is not available to you, work with your customers or the retailers to get informed about it. Another example of better planning across the supply chain is limiting the quantity sold to each customer, if a product is low in stock, rather than running out of it. Especially since the later can possibly be the most damaging consequence of poor inventory control as it not only results in short-term financial loss but also possible loss of customer retention. Consider setting up an incentive scheme where you would provide part of the stock now, and the remaining amount of stock later at a slight discount, since in this way you can be confident of keeping the sale and achieving customer retention. …to achieve inventory efficiency, consider the 80/20 rule: spend 20% of the time, effort and resources to achieve an 80% increase in efficiency. In addition to the importance of systems and processes, capable managers, especially the procurement manager, are also vital for the operations of a successful distribution business. All of them must go through adequate training and have the necessary tools to effectively manage their respective departments. Structured management meetings are absolutely crucial for the effective operations of any organization. The manager of each department must know the ongoing problems and challenges the entire company is facing. Getting involved in other departments’ processes should be encouraged, but only when such involvement is structured. Also there must be an IT platform to facilitate communication between managers to share information and assign tasks. Create a way to track the performance of the procurement department. In a distribution business, it is common that the sales department will have KPIs (Key Performance Indicators) or sales targets. On the contrary, the same is often not implemented for the procurement department. Improving the efficiency of the procurement cycle should be incentivized for the managers involved, and perhaps even lower level employees relevant to procurement and warehousing. Consider a sustainable incentive structure that encourages a results-oriented culture and employee engagement. The procurement manager should be expected to hold weekly department meetings that have a clear checklist of what is to be discussed and achieved before the next meeting. Not only should the manager receive ongoing training, but also be responsible for conducting workshops to address weaknesses within the department. Providing formal education, whether it be a technical or certification course, helps not only the company but also keeps the retention of valuable managers.